Written on January 24, 2017 . Posted in Fine Arts. 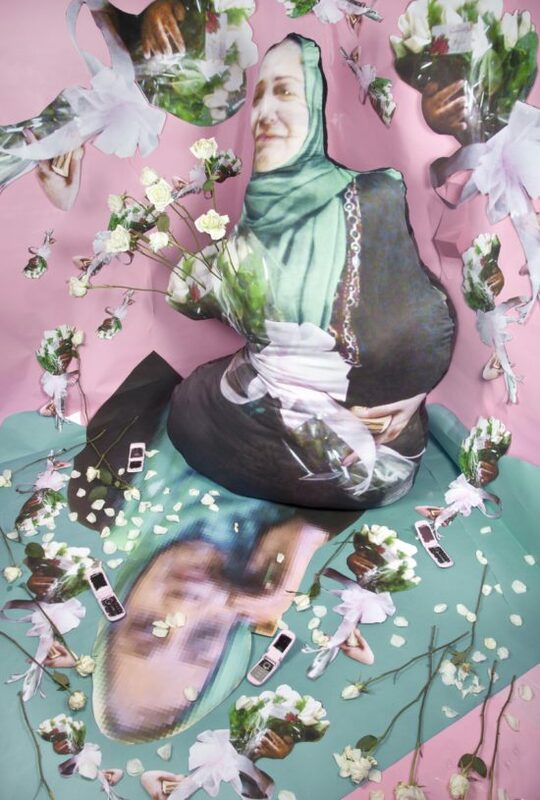 Sheida Soleimani (Lecturer, History, Philosophy + Social Sciences) has a solo exhibition currently on view at the Edel Assanti gallery (74a Newman Street) in London through 18th February 2017. Soleimani’s practice in focused on the photographic traces of women unlawfully imprisoned and executed by the government of Iran. Low-resolution images, drawn either from the victims’ lives or from government archives, are printed on three-dimensional effigies and assembled within elaborately constructed sets.